Are you tired of spending your valuable time at a job that you aren’t fond of? According to a study done by CBS News, 51% of full-time employees aren’t engaged at work. It can be frustrating to go to work every day thinking about your dream career as a cosmetologist while waiting for “the right moment” to switch careers. The truth is, that moment is now! 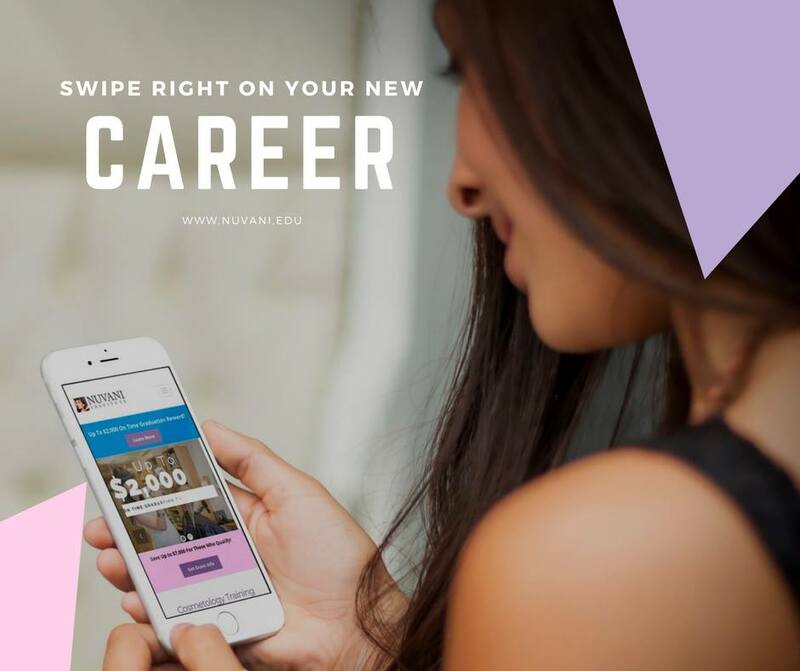 Stop settling for temporary job matches, and swipe right on a career that you want to last. If you’re stuck in a cycle of hating jobs and not enjoying the work you are doing, then it might be time to take the plunge and un-match. Looking to start your journey towards a career that encourages creativity and is consistently rewarding? The answer is Cosmetology! The qualifications to become a licensed cosmetologist are straight-forward -- requiring training that prepares you to take your Cosmetology License exam as well. It might sound like a tedious process, but the end-goal you are working towards makes it all worthwhile. Do you have an idea of a salon that you dream of working at? The staff is creative, and they are good listeners. They seem to have the best advice and have always taken care of you. That’s not just a coincidence: there is a consistency in the qualities because that is how they excel at their job. Cosmetologists have an important job that focuses on enhancing the lives of their clients. Being customer oriented, a good listener, and having the stamina to deliver quality service are vital traits in the cosmetology world. If these traits describe you, or these are skills you would be interested in learning, then you are on the right track! Making the first move can be scary, but if you don’t make a move then there is no guarantee that your new career will develop. Take control of your situation! Learn more about the Nuvani Institute admissions process and financial aid options to get started working towards your future. When it comes to your education, it’s up to you to make the first move.